After Mont Saint Michel the plan was to drive up to Calais and catch the ferry to my must see place. London England, where I planned to meet the Beatles and be instantly accepted into their inner circle. Once again we’d fallen into the “it doesn’t look that far on the map” trap. 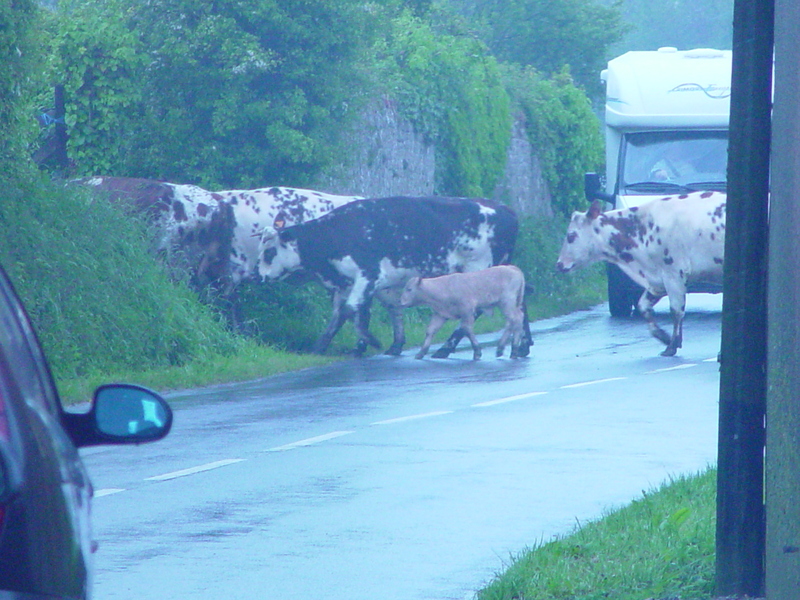 Readers – never make this mistake in rural France! In my defense, I was from Nevada – a vast, scarcely populated state with (at that time) no speed limit. And Carolyn, well, she was from Southern California, a maze of freeways on which people drive as if there is no speed limit. France is a little different. From Saintes it took us three hours to reach Mont Saint Michel where, as luck would have it, rain lightly fell. The gravel parking lot already looked like a swamp so it wasn’t a big surprise when the attendant informed us we had only one hour until high tide would make leaving the Mont impossible (unless we had a boat.) Thus we were forced to make a mad dash up the crooked cobblestone streets to reach the top. 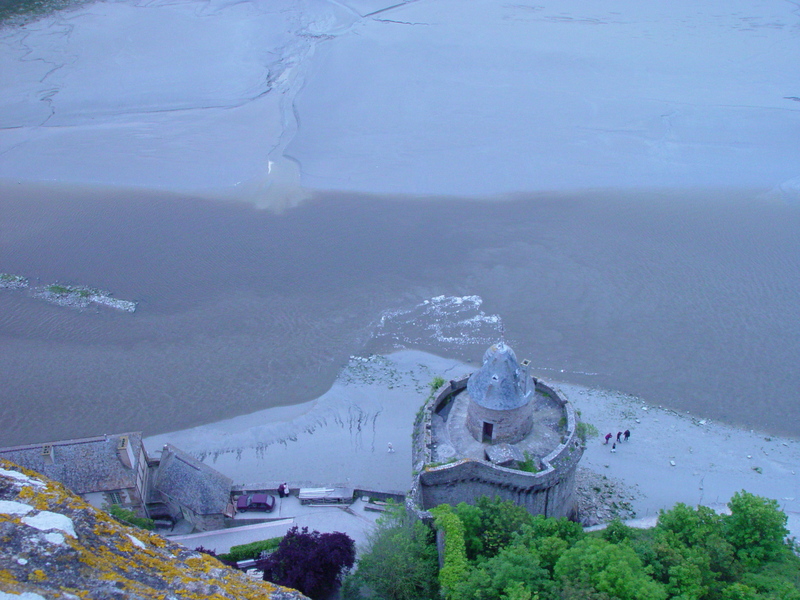 View from the chapel at the top of the Mont Saint Michel – a sea of mud. We arrived back at our car just as the deluge deluged. In wind and rain there is one car you do not want to careen wildly down unknown roads in: A Volkswagen Beetle. Especially one with flakey wipers and wimpy headlights. Beetles have a tendency to spin like the tea-cups at Disneyland if you brake at high speeds. I honestly don’t know how we survived that drive but our recklessness was all for naught. By the time we arrived at the docks in Calais the last ferry to Dover had sailed. However we were not alone. Standing at the locked gates were three young men also watching the ferry chug away. Noting the two us, they exchanged words and then approached. “You are American?” One of them asked. He was tall, dark-haired and very good-looking but not in a self-conscious way. Alberto, a pale man with Art Garfinkle hair, gestured toward an emerald green Ferrari parked nearby as Pier Andre turned and ran towards the car. Carolyn and I engaged glances. 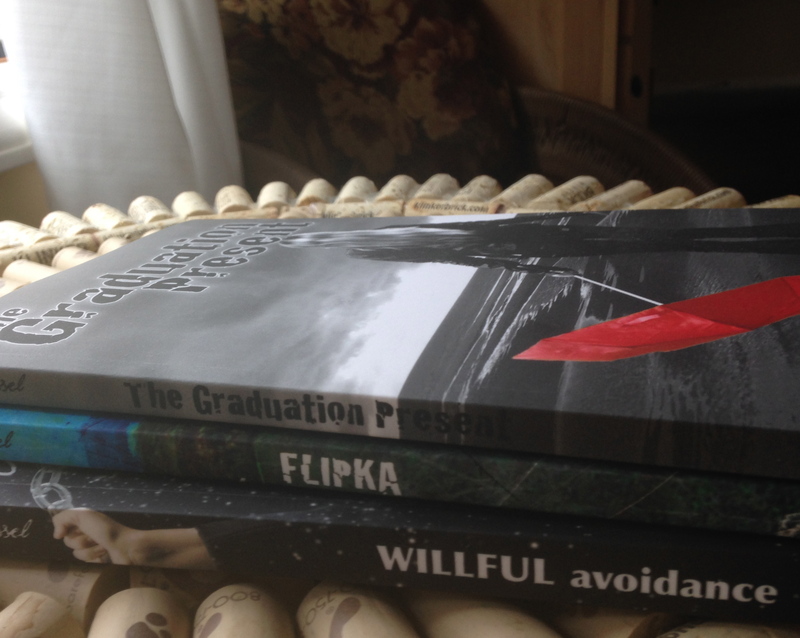 She shrugged her shoulders. “Okay,” I said. What did we have to lose? Besides, she pointed out, they were driving a new Ferrari (Pier Andre’s) so they had to be trustworthy, right? Sure. They kept track of us for a little while and then sped off when they realized we could not keep up; if they were going to catch the last ferry from Ostende, they had to dump us. Well, that’s that, I thought. They’ve abandoned us. But I was wrong. The boys insist I go to India with them. Next time: What the heck language do they speak in London? Hey Jan, don’t be concerned. 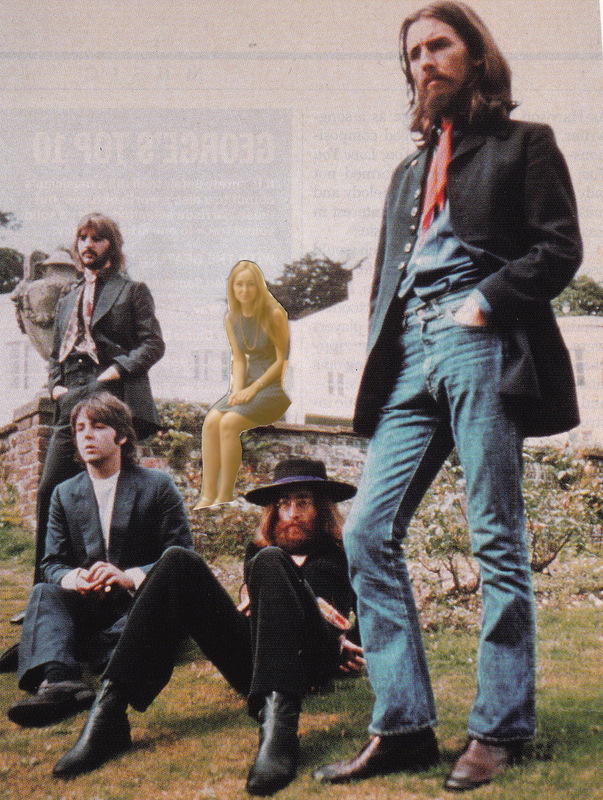 I was never 100% sure where McCartney got the inspiration for that song. Now I know. 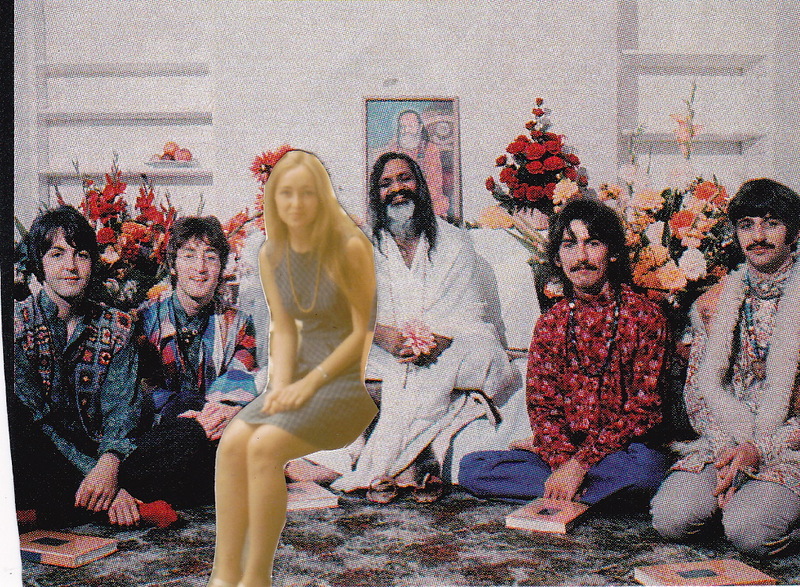 And I love the way you superimposed yourself on the Fab Four & his grace Maharaj.